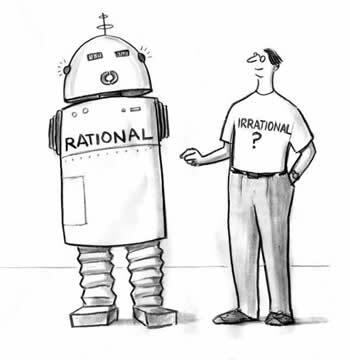 Key Difference: The word Rational is an adjective that is commonly used to describe an idea that is logical or a person who makes a logical statement. On the other hand, Rationale is a noun that refers to process of reasoning or the act of applying logic to one’s thinking. English is not always the easiest language to learn, with its many confusing words, phrases, acronyms, metaphors, so on and so forth. However, once you can get the hang of it, it can be one of the most expressive language in the world. Here are two words that are often confused because of the similarity in their looks and spelling – Rational and Rationale. While, it might seem like the difference between the two is simply one vowel ‘e’, but that one alphabet completely changes the meaning of the two words. The word Rational is an adjective that is commonly used to describe an idea that is logical or a person who makes a logical statement. For example: The idea that Earth revolves around the sun is rational; Sam was rational in getting upset over that accusation. It also has a connotation when it comes to Mathematics, and is used to describe a number that can be expressed as the ratio of two numbers. For example: ¼ and 1.2 are rational, while the number pi is not rational. On the other hand, Rationale is a noun that refers to process of reasoning or the act of applying logic to one’s thinking. For example: His rationale for breaking the traffic rules was his father was suffering from a heart attack. In this scenario above, you can clearly see that rationale is used to determine the logic that was applied to the guy’s thinking. This difference is commonly confused by a lot of people. Although, both the words have a similar spelling and are even derived from the same Latin root word ‘rationalis’, these words are still completely different from each other and are not interchangeable. A noun that refers to process of reasoning or the act of applying logic to one’s thinking. He was rational in thinking that Sam was not a good person. What is the rationale behind the new syllabus?